Big numbers predicted when two rare number plates go under the hammer! There’s a chance to buy a little bit of automotive history later this month when two car number plates go under the hammer. First up is the rare plate UK6 which was first put in circulation in 1910 only seven years after vehicles were first fitted with the identifying markers. It has been in private ownership for more than 50 years but is now going under the gavel with an estimate of between £45,000-£50,000, according to Humbert & Ellis Auctioneers, of Northamptonshire. For the more internationally-minded, the number plate 1RAN will be offered to the highest bidder, with an estimate of £50,000. An “extraordinarily rare” 10,000-year-old woolly mammoth tusk has sold at auction. The 220cm (86.5in) item is said to have been discovered in Siberia in the 19th Century and carved in China. It was purchased by a private buyer in New York in 2009 and was estimated to sell for up to £40,000 at an auction near Towcester, Northamptonshire. The lot attracted bidders from around the world, but was bought by a private investor in London. 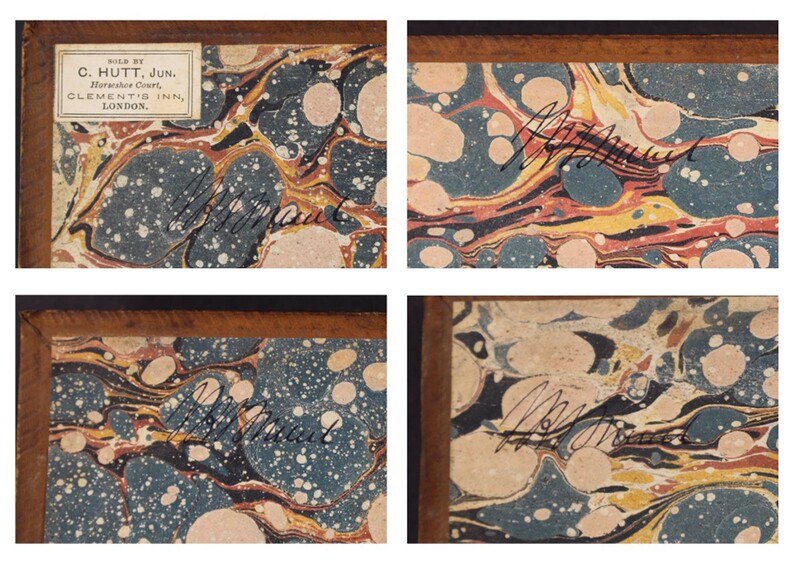 Humbert & Ellis Auctioneers listed the item as “extraordinarily rare and beautiful”. Auctioneer Jonathan Humbert said: “This was a fair price for a thing of such utter beauty and we’re delighted with the outcome. It features some 33 individuals figures, all with distinct faces and of Mogul influence, many bearing weapons, together with 20 horses, in an allegorical battle-story setting. The tusk came from a woolly mammoth, a species which died out about 5,600 years ago, and was roughly the same size as modern African elephants. It is exempt from the ivory ban, which currently only applies to products produced after 1947. A “taxi” car registration plate has been sold at auction for £92,000 after a rare appearance on the open market. It is not known if the plate, which auctioneers described as “head-turning” will be used on a taxi or private car. Auctioneer Jonathan Humbert said: “We get a lot of generic plates that can be low value but because of the UK font, in this case the 1 can look like an ‘i’ so it’s much more sellable. “They are notoriously difficult to sell and this is a great result for our vendor. Last summer Humbert & Ellis Ltd offered the bomb release button from the Lancaster bomber of 617 Squadron that unleashed the ‘bouncing bomb’ which destroyed the Möhne Dam on May 17, 1943, but it is a more recent innovation in focus this time. The auction house has estimated this original Concorde nose cone dating to the 1970s at £45,000-60,000 in its February 22 auction near Silverstone in Northamptonshire. Rare by definition, this is thought to be the only unused nose cone from the few that were originally made for the Concorde fleet by BAC Aerospatial. Standing 3.3m (11ft) high on a 4ft 6in (1.35m) diameter base, the cone enabled the aircraft to achieve supersonic flight and make a flight time of just of 3.5 hours possible between Paris and New York. The cone, which was a key feature of the ‘droop nose’ Concorde design, is offered at auction for the first time. Concorde was the first supersonic passenger-carrying commercial aeroplane and was built jointly by aircraft manufacturers in the UK and France. Its first transatlantic crossing was on September 26, 1973. The world’s first scheduled supersonic passenger service followed on January 21, 1976—British Airways flying from London to Bahrain and Air France from Paris to Rio de Janeiro. The glamorous world of Concorde was only affordable to a few, however, and huge operating expenses meant New York became the only regular service. Concorde commercial flights ended in 2003, at which point just 14 had gone into service – and the image of Concorde had also been shaped by the tragedy of July 2000, when Air France Flight 4590 crashed on take-off, causing 113 deaths (although this was the only fatal accident in 27 years of operation). On February 22 Humbert & Ellis Auctioneers near Silverstone offered the set estimated at £800-1200, but after a competition between room and internet bidders it was hammered down at £6000 (or £7400 including premium). The drawings set was bought by Swindon council for a new Brunel exhibition it is holding. The set is contained in an oak case, with a brass plate inset into lid engraved I K BRUNEL. Humbert said: “It came from an octogenarian client of mine, a lady whose great-grandfather was a contemporary of Henry Marc Brunel, Isambard’s son. I’m a little unclear as to whether my vendor’s great-grandfather and Mark Henry might have studied together. “Henry Marc was also an engineer. In about 1902, shortly before his death, the drawing set and a set of Smollett’s History of England books were gifted to my client’s great-grandfather by Mark Henry. 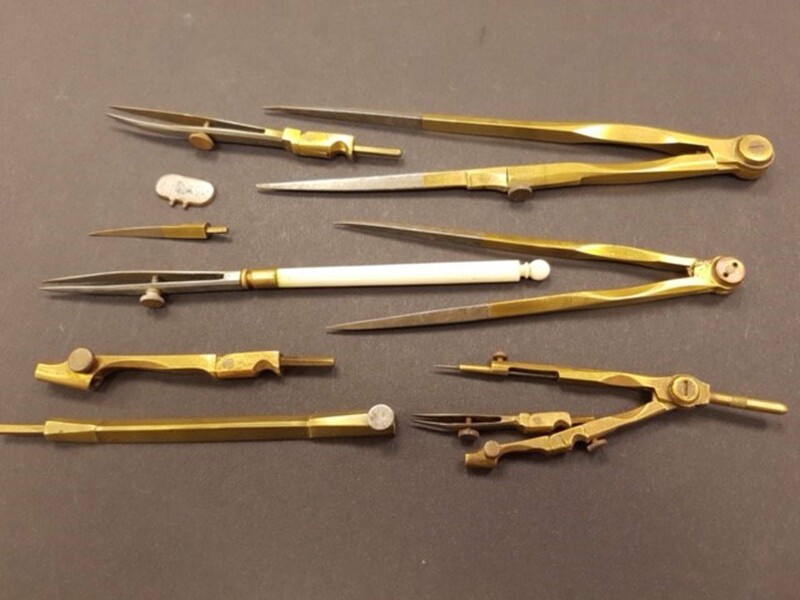 “The drawing set has IK Brunel written upon so would have been his father’s, and it is likely Brunel had many such drawing instruments, travelling round for many jobs. He probably wore a few out, kept his best for home maybe, but what is lovely is to suppose what feats of engineering were invented using this very set – possibly the Great Western Railway, Clifton Suspension Bridge, the SS Great Eastern – who knows? 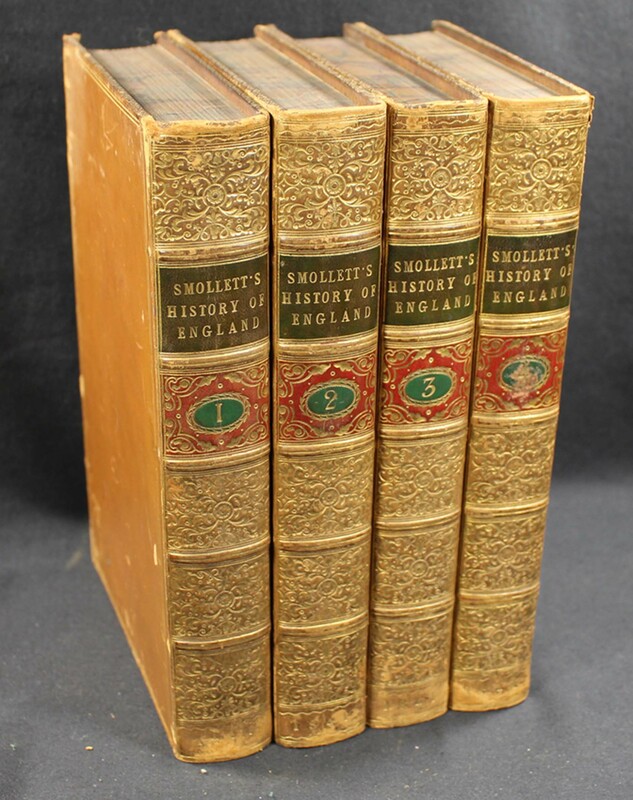 The Smollett’s, a four-volume full set from 1848, were also offered at Humbert & Ellis, each with IK Brunel’s written signature on the insides of the front cover. Estimated at £800-1200. They sold for £1250 to a private buyer. moz on Big numbers predicted when two rare number plates go under the hammer!